Kraft paper, Testliner board, Duplex paper board are widely used for packaging materials in modern society. 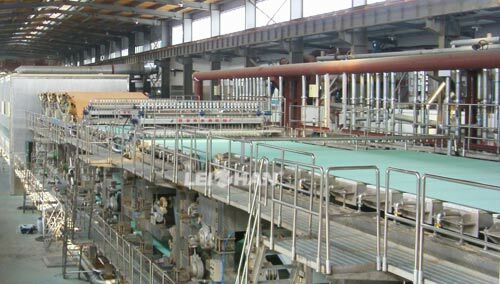 China Leizhan paper machinery company, a market-oriented factory in pulp and paper industry, plays great emphasis on designing most suitable Kraft/Testliner paper manufacturing solutions for Kraft/Testliner paper makers. The raw material for manufacturing high grade Kraft/Testliner paper can be Wood pulp, White shavings, Recycled paper, etc. Leizhan professional engineers design customized Copier paper making solutions for various raw materials, production capacity, finished paper quality, etc. Kraft/testliner paper making machine supplied by Leizhan can be equipped with QCS automatic control system, the production capacity can be 45-750 tons per day, the operating speed range of 150-800m/min and the trimmed width range of 1880-5800mm.